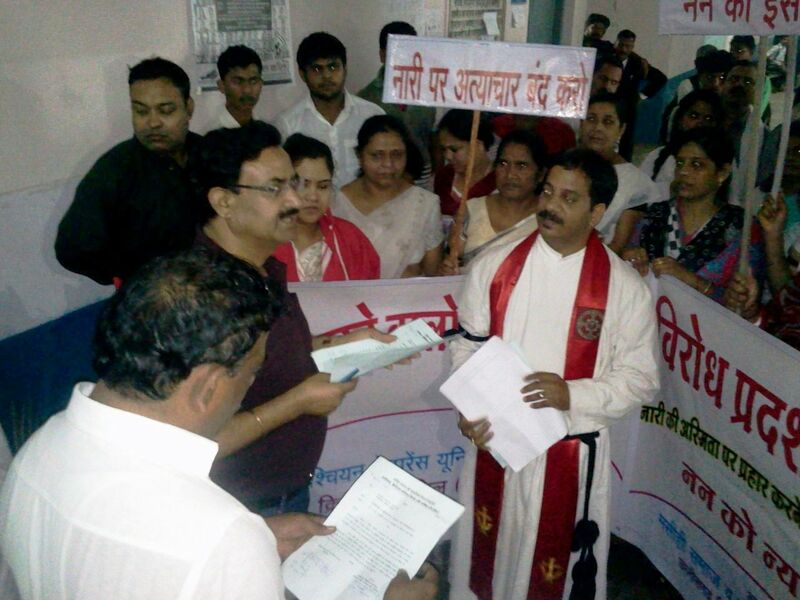 Rev Dr Atul Arthur reported that this incident of violence united the Christians, different churches, ecumenical, faith based and women’s organizations to demand for justice pleading the state government to arrest the culprits immediately. The police was initially totally apathetic to this form of sexual terrorism opined Rev. Dr. Arthur. On 1st July 2015 all the Christian Organizations and institutes called for a strike as a symbol of protest and remained closed in Chhattisgarh state. 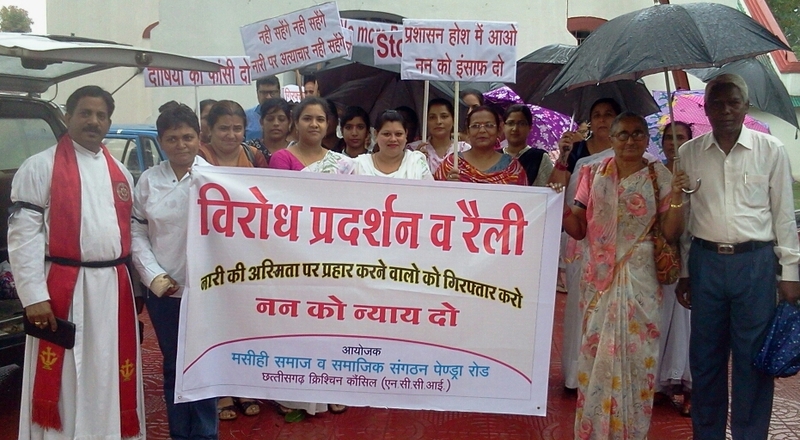 Protest Rallies were organized in different places in Chhattisgarh state like Bilaspur, Raipur, Korba, Pendra Road, Manandragarh, Chrmiri. According to Rev. Dr Arthur, “despite the heavy rain at Pendra Road, crowd gathered in solidarity wearing white clothing and black badge/ribbon to mark protest and raised their voice against the apathy of the government to arrest the culprits. Outside the Collector’s office Rev. Dr. Atul Arthur addressed the crowd stating the government must provide security to the women, and Christian community workers who have dedicated their lives to serve the poor and society.” He further said “It’s sad that the police and the present government has failed protect women and taken adequate steps to stop religious intolerance and anti-Christian Campaign in India. 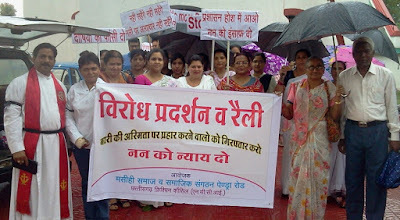 The demonstrators of the Rally submitted a Memorandum to the Honorable Governor of the State and to the Chief Minister of Chhattisgarh. All India Council of Christian Women and National Council of Churches in India congratulate Chhattisgarh Council of Churches and its mahila mandal for their prophetic role to break the silence regarding culture of violence on women in our country and demand for justice.